Heidi Gustad of Hands Occupied has been creating fun ornaments for the last few years. These fun patterns for knitters and crocheters add the perfect handmade touch to your holiday decorations. Plus, they are a perfect way to use up your left over yarn that you hide at the bottom of your stash. This festive garland adds a touch of green into your winter home. Hang around your windows to remind you that winter may be here, but your home is full of warmth! 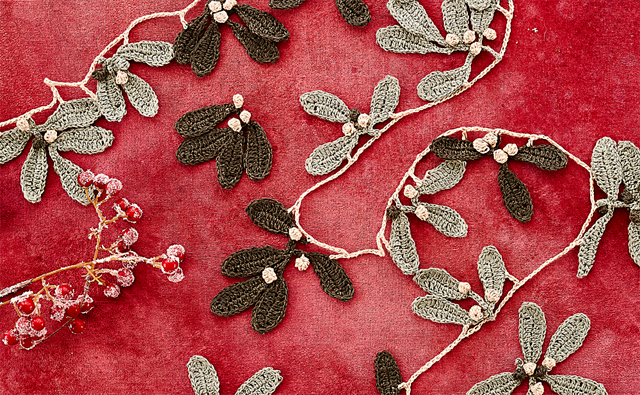 Get in the spirit with this adorable knit garland. 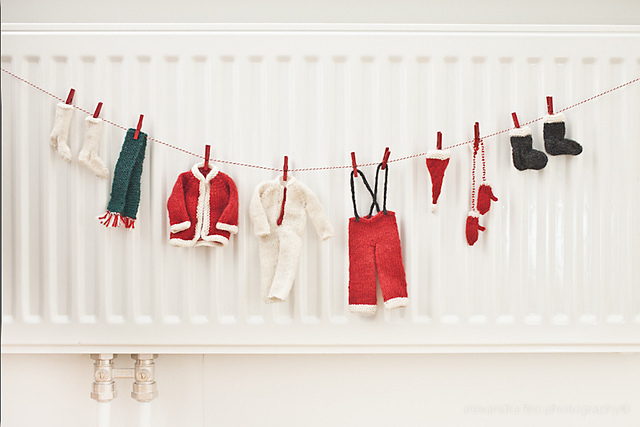 Hang above your fireplace to keep Santa's line cozy warm for him before his big day! Adorn your gifts with one of nature's beautiful creations. 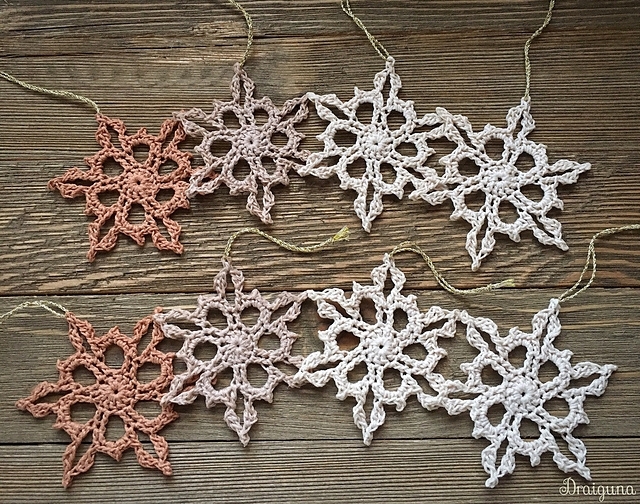 These lacework snowflakes are a perfect reminder that it maybe cold outside, but the beauty doesn't fade!